Rock art, did you say? The Rock art, did you say? learning and evaluation situation (LES) provides an opportunity for secondary cycle one students to make connections between the concepts of history, communication and knowledge about past civilizations featured in the Images on Stone online exhibit. The activity focuses on the basics of sedentary lifestyle and examples drawn from the online exhibit. 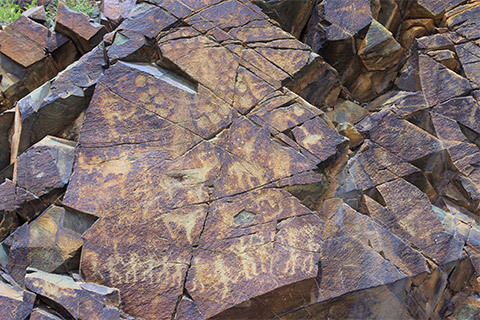 It helps students to understand how rock art conveys information on several aspects of preliterate civilizations and to define related concepts such as history and prehistory, along with rock art and its functions. The activity encourages students to make connections between the topic of prehistoric cultures covered in the secondary one cycle History curriculum and knowledge acquired about Indigenous cultures in elementary school. It also introduces students to the analysis of non-written historical documents (maps, timelines, iconographic documents). The Rock art, did you say? activity is part of the Environmental Awareness and Consumer Rights and Responsibilities broad area of learning. It helps to raise students’ awareness of respect for heritage. Using the definitions provided in Annex 1 or other sources, the teacher asks the students questions to establish a definition of history in groups, for instance by making comparisons with what is commonly known as prehistory. The teacher may also ask the students to research elements of a definition in print or digital sources and share the results with the entire class. If history is defined as beginning with the invention of writing (from the Western perspective), what were the means of communication used during prehistory? Individually or in groups, the students complete the table available in Annex 2 with the means of communication that they find. Highlight the “Permanence” characteristic. 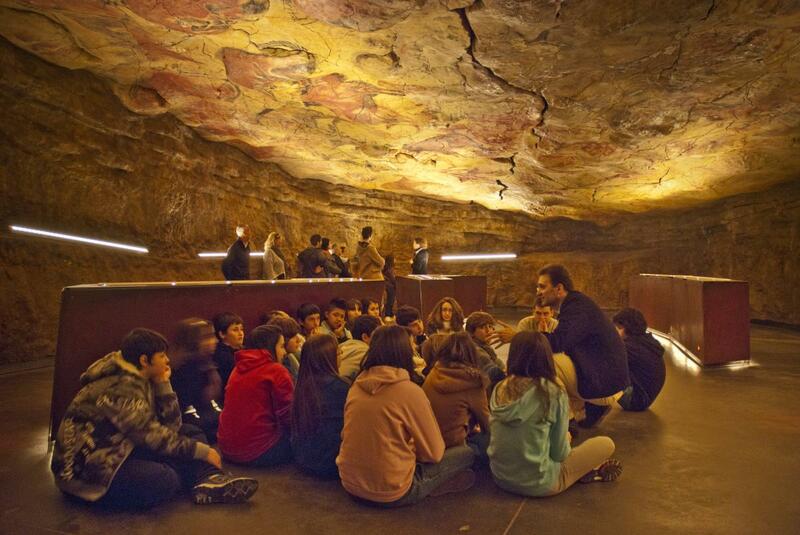 Use the gallery to show the students some examples of rock art, parietal art or prehistoric frescoes. 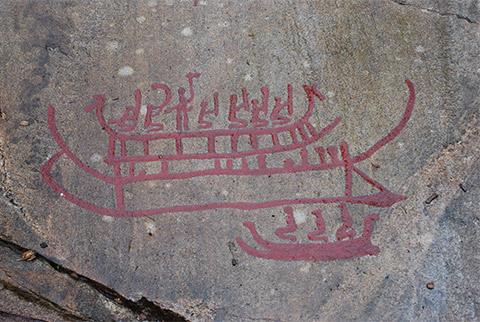 Apparently, they are the oldest known rock artworks, since they date back to the ice age (43,000 years ago). Over the ages, humans have used the cave. 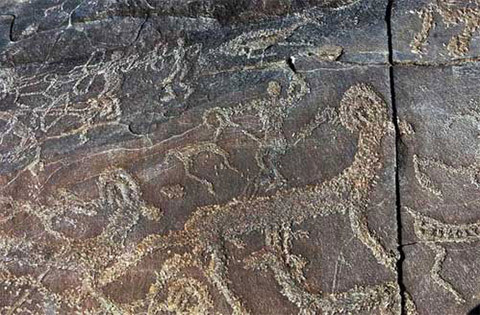 The hands are the oldest rock artworks, with images of animals and hunting scenes added later. The way in which these images interact might be indicative of ritual or sacred sites. 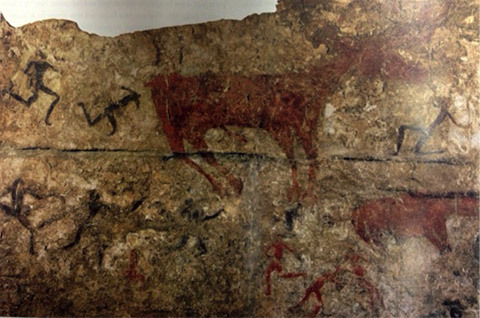 Such wall paintings are not considered to be rock art, since they were created on built walls instead of natural elements. 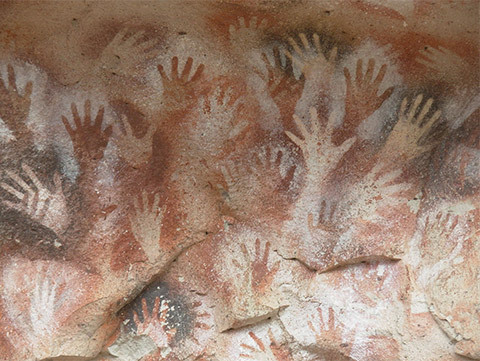 However, just like rock art, they are visual sources of knowledge. 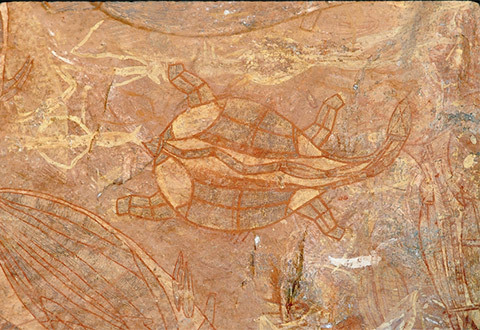 Some of the characteristics of Aboriginal art include this type of painting, where the inside of animals is also represented. Cows were very important for nomadic peoples in the area. They could also be symbols of fertility worshiped by the nomads as deities to obtain good crops. Some scientists believe that these drawings could show that Chinese writing is older than previously assumed. Allow the students some time to do their own research and show the class their results. Suggest that they start with the sites listed in Annex 3. However, this option will require more time and extend the overall duration of this step to 90 or 120 minutes (1 ? to 2 periods). The teacher highlights (or has the students do some research) the meaning and origin of the term rock art: paintings or carvings made on rock surfaces by civilizations prior to the invention of writing and the term parietal art: paintings or carvings made on cave or enclosed space wall (from the Latin paries, meaning “wall”). 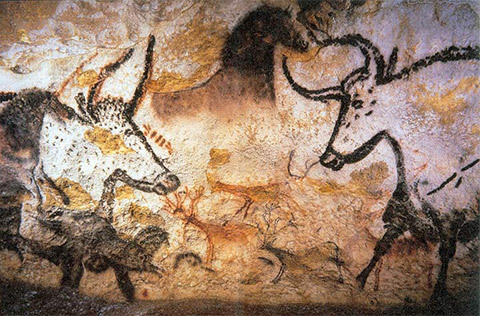 Prehistoric human groups left visual traces that provide us today with information on certain aspects of their way of life. What about the First Peoples who settled here, in North America? Did they also use this means of communication? For what purpose? What messages did they seek to convey? What can be inferred from such messages? These questions will allow the teacher to transition to the next step of the learning situation, where students will be asked to transpose knowledge about early civilizations on other continents to the first inhabitants of the North American territory. History is defined as beginning with the invention of writing. The long period prior to history is referred to as prehistory (or paleo-history). 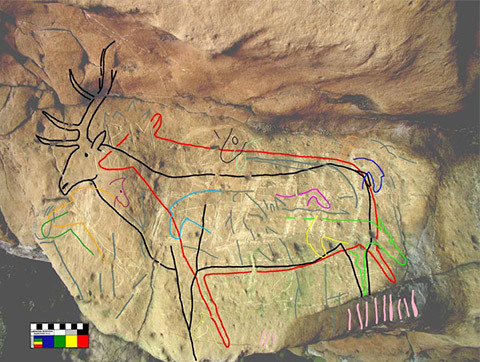 During prehistory, humans had other means of communication, including rock art. Rock artwork is found everywhere in the world, in various forms that date back to several eras. The teacher points out that rock art sites are also found in Canada. By analyzing the characteristics of these sites with the historical method, students will discover some elements of the cultures of the first inhabitants of the territories in question. Explain to students how to use the “Rock Art Site Historical Analysis” (Annex 4) activity sheet. Make sure that they understand what to do and give them a time limit to perform the task based on your planning, individually or in teams, in class or outside. Identify on the map the five sites under study. With what Indigenous cultures are the sites associated? What have the rock artworks taught us about these cultures? What other interesting information did the students collect during their research? Example: The site was mentioned on a geographical map of 1731. Therefore, it was known to missionaries during the New France era (Pepeshapissinikan/Nisula). Conclude the activity with a reflection on the historical sources likely to be used to learn more about the First Peoples of Canada. The activity allowed the students to identify the types of information that can be collected from rock artwork (visual document). What other sources of information can help the students to learn more about prehistoric (paleo-historic) societies? Highlight that the scarcity of sources of information on such societies makes it all the more important to preserve each available source, particularly sources exposed to the test of time or damaged by human activity. This will be the topic of study in the next and last step of this learning situation. 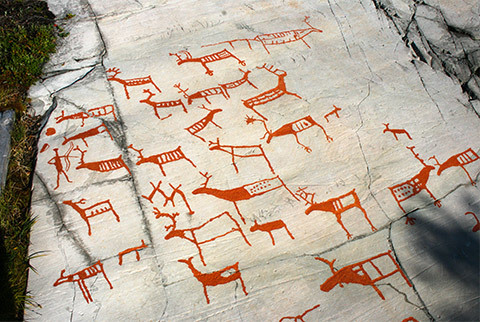 Rock art is one of the oldest forms of communication of human societies to reach us today. There are rock art sites everywhere around the world, including in Canada. o Rock art is a historical documentary source that can provide significant information on prehistoric (paleo-historic) societies. Emphasize the importance of non-written sources in the field of history. 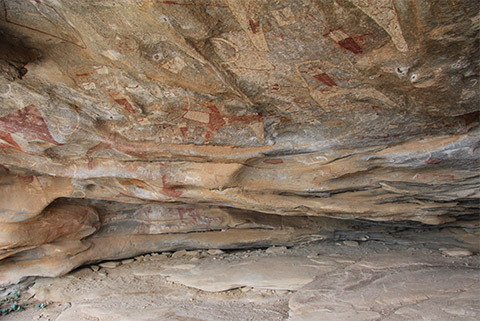 Instil awareness of the consistent importance of protecting and preserving rock art sites (because of their vulnerability and their value as a heritage to mankind). In the form of individual work, team work or an evaluation, the teacher hands out the “Rock Art and History” activity sheet (Annex 5) to students. If so desired, the teacher may lead a discussion with the entire class to allow the students to share their points of view. The Rock art, did you say? learning and evaluation situation is an interesting introduction for students entering the secondary level who are starting the systematic study of history and building knowledge about the techniques used in this field of study. The teacher may use the LES to introduce the knowledge taught and set a context for students to explore the field of history during secondary cycle one.